Knowing what type of manual wheelchair to buy is essential to ensuring you get the wheelchair that’s right for you. 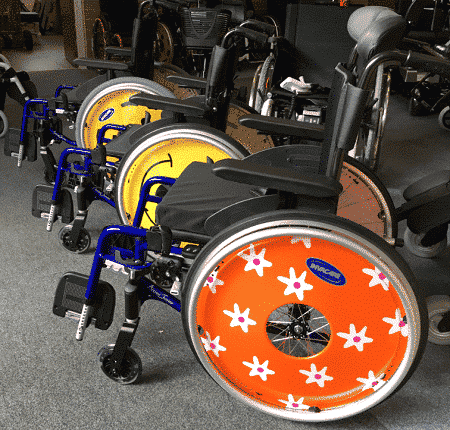 There are so many different types of manual wheelchairs on today’s market from self-propel and transit wheelchairs to lightweight and ultra lightweight wheelchairs it can be difficult to choose the right one. We hope after reading this guide to buying a manual wheelchair the decision-making process will be a lot easier. What type of manual wheelchair do you need? Manual wheelchairs are suited for those who have the ability to self-propel the chair or have someone to push the chair for them. If this is not the case then a powered electric wheelchair may be more suitable. If you are able and want to wheel yourself then a self-propelling wheelchair is right for you. Self-propelling wheelchairs have larger rear wheels, (generally around 60cm in diameter) and are fitted with hand rims to push the wheels with. They have swivelling castors at the front to allow easy turning. If the user is intending to always be pushed around in the wheelchair, then perhaps transit wheelchairs may be better suited. Transit wheelchairs have smaller rear wheels, (around 30cm in diameter) as well as brakes either on the wheel or handles behind. Transit models tend to be slightly lighter than self-propelled and can take up less room when being stored and transported. Having a frame that’s rigid or folding can make all the difference in making life easier with transportation. A rigid frame tends to be a welded frame and has the ability to fold the back down and remove the wheels to allow easy transportation. Also, rigid frames wheelchairs tend to be slightly stronger and more durable than folding frames, being made from aluminium or titanium they can also be incredibly light. A folding chair will fold sideways in an X mechanism. It can then be locked in position. Because of the complex mechanism, there is usually reinforced metalwork on the chair, meaning the chair is heavier than a rigid frame chair. They are also usually made from aluminium or titanium. The advantage of a folding chair is easy storage and transportation, especially if you have limited space in your home. Being able to fold your wheelchair for storage and transportation may be essential. 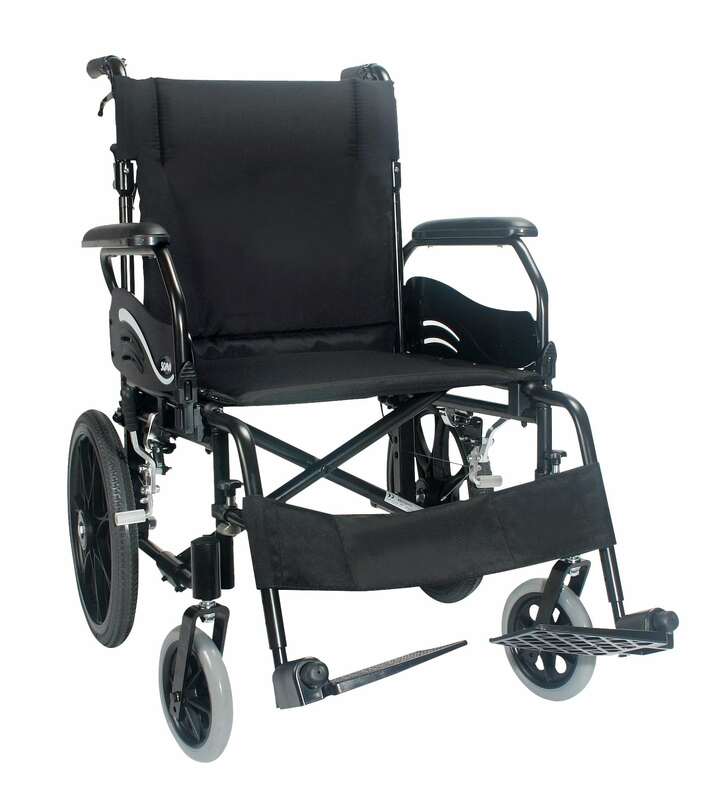 In general rigid wheelchairs are generally lighter, perform better as well as being more durable as they have less moving parts, however, if you are very active and travel regularly, it is worth comprising on the weight and durability to have a folding frames ease of storage for stress-free travel. Available in both self-propel or transit models, they are made from very lightweight aluminium. Ultra lightweight chairs generally weigh between 8 and 13kg, although removing leg rests and rear wheels for transporting will make the chair even lighter. These are the lightest of wheelchairs and designed to be the easiest to move and transport. Typically seat widths are 16’’ or 18’’ but some models do offer larger sizes. Weighing around 12-16kg lightweight wheelchairs come in both self-propel and transit models. They are one of the best all round weight classes and are the most economically priced. Seat widths on lightweight chairs generally are around 16’’ to 18’’ wide. Bariatric wheelchairs are designed for larger users. Offering a much wider seat of 20’’ to 24’’ they also have reinforced frames and can handle a weight capacity of 160-325kg. Bariatric chairs tend to weigh around 15-27kg. Pediatric wheelchairs are for children often with a different set of needs to adults. Pediatric wheelchairs come in colour schemes and designs aimed at the younger generation and can really improve a young person’s life. The rehabilitative benefits of pediatric chairs also extend to standing chairs. 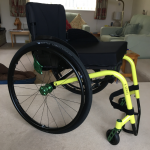 Also referred to as a sports wheelchair active wheelchairs are for those who have a very ‘on the go’ lifestyle and therefore need an ultra-lightweight and tough frame. A tilting chair means you can change orientation without bending your back. This is really useful in order to reduce pressure build up in your joints. Reclining chairs mean you can move the backrest backwards or forward to help you feel more comfortable and relaxed without harming your posture. The weight of your chair will affect every aspect. The lighter your chair the easier it will be to transport and propel. Basic economy wheelchairs are made from steel which is a lot heavier than higher quality aluminium or titanium wheelchairs. This is the body of the chair, being either fixed or folding. The frame is the bones of the chair and what every other component is attached to. This is arguably the most important component of a wheelchair to ensure you are comfortable. The upholstery can be made from nylon or chairs can be fully upholstered like a car seat, including cushioned support added throughout the seat to reduce aches and pains. Armrests come in two types; full-length armrests which are usually standard with the chair or desk style armrests which allow you to get closer to a table edge. Either type can be height adjustable, can flip-up or retract to allow access. Having swing away or removable footrests help to transfer into a wheelchair. Footrests can also be height adjustable. Some footrests can be independently adjusted if having one foot higher than the other suits your posture. Brakes are obviously very important and vital that they are easily operated. There are various types of brakes to suit different needs such as push/pull on brakes, scissor and disc brakes. For those who have less strength, extension levers can be installed which reduces the strength needed to apply the brakes. There are three main types of tyres available for manual wheelchairs; pneumatic, puncture proof and solid. Pneumatic tyres are air-filled. They are the most comfortable when driving as they offer the most cushioning and comfort over bumps and uneven terrain. However pneumatic tyres are susceptible to punctures and require the air pressure to be checked regularly. Puncture proof tyres are a compromise between the types, they are instead filled with foam, plastic or have a rubber inner, increasing the weight of the tire slightly but meaning they are resistant to punctures. Solid tyres are the most hassle-free, easily propel over a smooth service and are ideal for use primarily in the home. However, they offer little shock absorption and you can sometimes really feel those uneven surfaces when driving. These are the rotating wheels at the front of the chair. A larger castor makes it is easier tackling rougher terrain. On the other hand, a smaller castor means it’s easier to turn and should be favoured by those who have no problem lifting the front of the chair when self-propelling. Your chairs backrest needs to be comfortable and offer maximum postural support. Over time a bad backrest can cause damage to your body. Users with poor posture may need a larger backrest; however bear in mind a backrest too high may cause an issue when trying to reach the back wheels. Backrests can be made from adjustable materials or solid and come in fixed, removable, folding or height adjustable styles and designs. For those users who find it difficult to sit upright a support can be added that helps the torso and the hips align correctly. This can be attached to the backrest or seat cushion. For those who need extra neck support, a headrest can be fitted on the top of the backrest of the chair. This is the angle of the rear wheel. 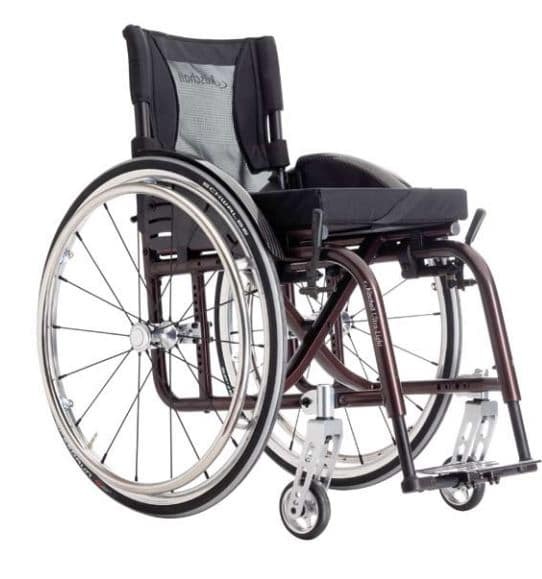 The top of the wheel can be angled toward the chair and bottom of the wheel angled away to improve the stability of the chair, however, this will make the wheelchair slightly wider. It’s important to take into account how capable the user is to transfer on or off a manual wheelchair. Some features can make it easier to do so. For example, footplates that can be turned up or down or removed mean there is more room to easily stand in front of the chair, as well as armrests that can be flipped up or moved back. Always ensure the brakes are applied when transferring on or off the chair. How do I buy a manual wheelchair? The cost of a manual wheelchair is very dependent on the make and model. Features such as bespoke designed parts and more expensive materials will be the main contributor the overall cost of the chair. 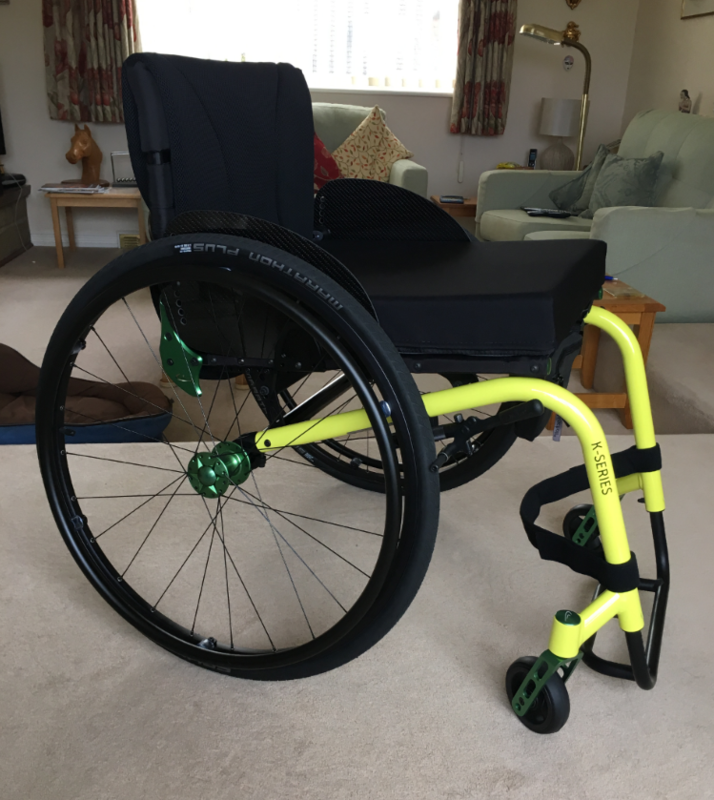 Some NHS wheelchair services offer a voucher scheme to the value of a chair following an assessment and determining which type of wheelchair is needed. This voucher can then be used towards the cost of buying a manual wheelchair privately. The Motability scheme is useful for hiring or buying a wheelchair, it’s aimed for those who receive disability living allowance or war pensioners mobility supplement. These benefits can be used to fund your new wheelchair. Easy mobility services are experts in providing the right manual wheelchair for our customers. We listen to our customer’s needs and requirements and provide a full fitting service to make sure they get the wheelchair that is best suited to them. If you are unsure which manual wheelchair is right for you please feel free to contact us or call into one of our mobility shops for further advice and to try out some of the manual wheelchairs we have on offer.